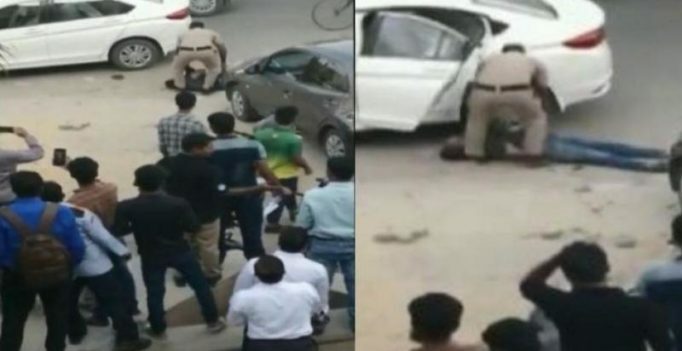 Gurgaon: A judge’s wife, who was allegedly shot in a crowded market area in Gurgaon by his personal security guard, succumbed to injuries, while their 18-year-old son has been declared “brain dead”, officials said Sunday. Additional Sessions Judge Krishan Kant’s wife Ritu (45) and son Dhruv (18) had gone for shopping in the Arcadia market Saturday when they were shot by Mahipal. They were admitted to a hospital in critical condition. Regional Medical Officer, Gurgaon Civil Hospital, Pawan Choudhary confirmed the death of Ritu and said the post-mortem examination had been conducted. “The reason for Ritu’s death was excessive bleeding. A panel of three specialist doctors found two gunshot wounds on the right side and in the middle of the chest,” Chaudhary said. Dhruv, who was shot in the head, is brain dead. He has been put on life support system. It would be a miracle if he is saved, the medical officer said. Mahipal was brought to a Gurgaon court at 1 pm which sent him to four-day police custody. The Gurgaon Police had sought a week’s custody for extensive interrogation of Mahipal to establish the reason why he shot Ritu and Dhruv. It has set up a Special Investigation Team (SIT) to investigate the case from all angles. “Mahipal is frequently changing his statements and becomes furious whenever he is questioned. He said he was depressed due to family problems,” said a senior police officer, who is part of the interrogation team. “As per the statement of the accused, he was not happy with the behaviour of the victim’s family members. He was also upset due to frequent fights with his wife which was confirmed by his neighbours in police lines,” the officer told PTI. After initial interrogation of the accused, police officers said he was a Haryana police head constable and was serving as personal security guard of the judge for two years. He had been demanding leave to go home for the past few days but this was not granted, the officer said. “The judge also used to scold him often,” one of the interrogating officers said. Additional Sessions Judge Krishan Kant in a statement said that after committing the crime, Mahipal informed him about the incident on the phone. Ritu’s family members had earlier decided to take her body to Hisar, her native city, for cremation. They later returned to the Medanta hospital to donate her organs. Police had earlier said the shooting happened around 3.30 pm Saturday. A police official said Ritu had suffered a bullet injury in her chest. In video footage of the incident recorded by a witness, Mahipal is seen with the gun in his hand. He was also seen trying to push Dhruv inside the car. 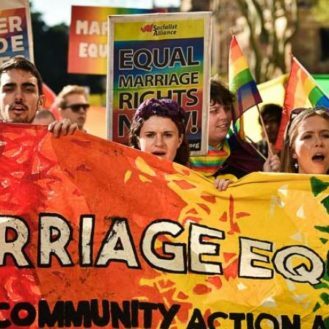 The final step is for the Governor-General Peter Cosgrove, the Queen’s representative in Australia, to ratify the law, which will likely take place within days…. The Academy is known for its cloak-and-dagger methods to prevent any leaks, resorting to codenames for authors and fake book covers when reading in public….